Hunters and gun owners are particularly fond of proclaiming certain publications are the last word on their sport and this tome certainly comes close. The author’s first book, African Dangerous Game Cartridges; became a modern standard reference on big bores. African Medium-Game Cartridges, has around 380 color images and charts, it covers the 39 currently most popular .270, 7mm, .30 and .303 hunting cartridges in the greatest detail we know of ever attempted. It covers not only the history, but the ideal loads, the right projectiles, how to reload them and the game it should be used for. Hunters and gun owners are particularly fond of proclaiming certain publications are the last word on their sport, and this tome certainly comes close. The author’s first book, African Dangerous Game Cartridges, became a modern standard reference on big bores. 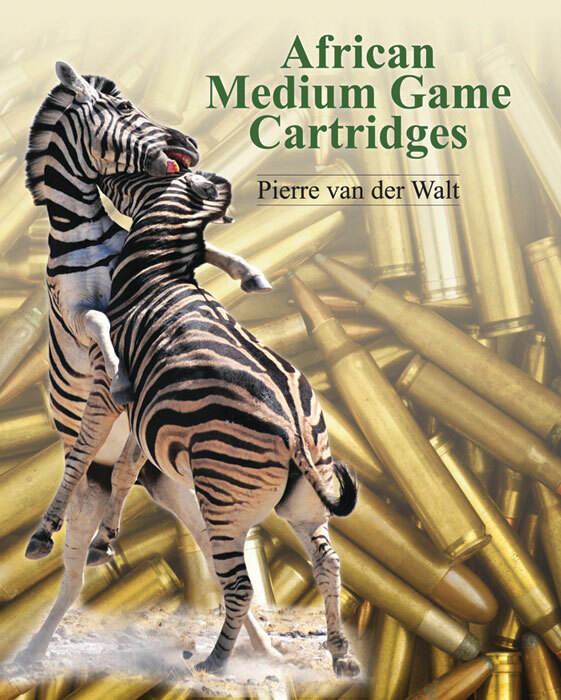 African Medium-Game Cartridgeshas around 380 color images and charts; it covers the 39 currently most popular .270, 7mm, .30, and .303 hunting cartridges in the greatest detail we’ve ever seen. It covers not only the history, but the ideal loads, the right projectiles, how to reload them, and the game each cartridge should be used for. Apart from cartridge information, this book also contains countless photos of, and interesting information about, Africa’s medium game species and hunting destinations. And these are by no means all of the ballistics topics that the author covers. Submit your review for "African Medium-Game Cartridges"